I enjoyed the Herald Tuesday’s article by Jayson Jacoby on the dispersal of wolves into North East Oregon. It was gratifying to see it as it helps confirm my sighting of a pair of wolves near Lick Creek (Wallowa County) in August of this year. I reported the sighting to the Fish & Wildlife Service that month, but apparently they were unable to independently confirm it. Good that the snow held the tracks found by a local rancher, hopefully not one of the “shoot, shovel, and shut-up” up crowd, so that wolves could be confirmed this year. We should be relieved that the wolf has finally come home. I look forward to hearing their howls in the coming years but predator persecution has a long history in America, and in Eastern Oregon in particular (2 of 4 recent wolf migrants have been shot). Hopefully the State and Federal government will take their responsibilities seriously and protect the wolves from those who have vowed to stop their reintroduction here. Bounties on wolves were offered as early as 1630 in the Massachusetts Colony, at which time, some 250,00 or more wolves roamed America’s wild lands. 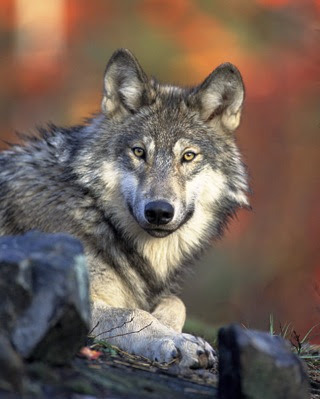 By about 1700, wolves had been eliminated from the Eastern United States. According to the Wild Rockies Alliance, “Professional ‘wolfers’ working for the livestock industry laid out strychnine-poisoned meat lines up to 150 miles long. Wolves were shot, poisoned, trapped, clubbed, set on fire and inoculated with mange, a painful and often fatal skin disease caused by mites.” The persecution reached its apex in the late 1800’s and into the early years of the last century, by which time it is estimated that some 55,000 wolves a year were being executed. 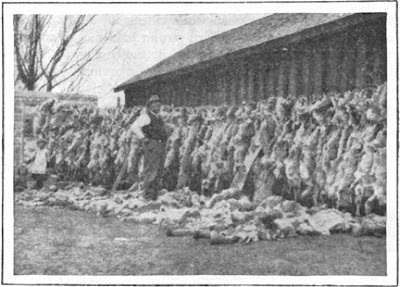 Between 1918 and 1920, over 128,500 wolves were slaughtered in the Western U. S.
A palpable hatred for both predators and other “varmints” is revealed in articles printed in the U.S. Department of Agriculture Year Book for 1920, where classics like “Hunting Down Stock Killers” and “Death To The Rodents” can be found. It is clear from these attitudes that the American people are expected to sacrifice their public ecosystems, and all the species there-in, (not to mention their tax dollars flowing to the U.S.D.A predator control efforts, Forest Service, and Bureau of Land Management) to the economic interests of ranchers. In practice, that is exactly what has occurred. Like every thing else in our corrupt American “democracy,” the theft of our public lands and ecosystems has been financed by the economic power of special interest groups like the various Cattlemen’s Associations. This is accomplished through their financial contributions to members of Congress, especially in districts where extractive industries and ranchers have large landholdings with the significant economic and social power that those holdings bring. And it is not just native predators who suffer. 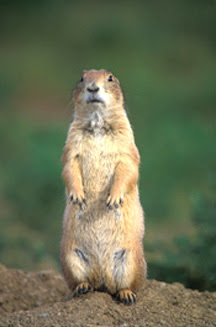 Prairie dogs and other important rodents have suffered as well. 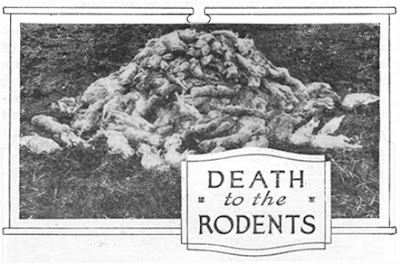 As the picture above illustrates, prairie dogs, and those who depend on them, like the black-footed ferret, have been the targets of the stockman’s jihad. Hawks and many other species depend upon the availability of a prey base, which consists largely of rodents, for their survival. My question, and that of many in the environmental community, is why should ranchers or hunters have control over which of our native predators should be allowed to have access to their historic habitat on our public lands? The wolf has an important role in maintaining the health of our public ecosystems. If public lands ranchers insist on putting their livestock in a situation where they will naturally become prey, then that is their problem. Our lands should not be managed for the benefit of ranchers and hunters, our lands should be managed for the benefit of native ecosystems and the services they provide for all of the American people. The Record Courier and Brian Addison first broke the story of U.S. Timber’s attempt to get prisoner workers from the Powder River Correctional facility on November 22. The Herald followed up with another article yesterday, December 5th. The later story stated that the Baker County Economic Development Council has endorsed a plan for U.S. Timber to hire the workers at very near the minimum wage for a 6 month period, after which the relationship would be re-evaluated. According to Jennifer Watkins at City Hall, the development council consists of chairman Craig Ward (a local farmer from the where’s my subsidy crowd), vice-chair Mike Rudi (from the its all about business people Chamber of Commerce crowd), Steve Brocato (with dual membership in both the where’s my subsidy crowd and the I’m in charge of my overall plan crowd) Fred Warner (from the County Commission and the go along to get along crowd), and Terry Schumacher (with dual membership in the its all about business people Chamber of Commerce crowd and the do as I say, not as I do crowd). So our Economic Development Council has endorsed a plan for U.S. Timber to hire workers at near the minimum wage. You may remember a time, a decade or so ago, when the use of prison labor in private industry was frowned upon in America—when we bitterly complained about China’s practice of using prison labor to make products exported to the US. It none-the-less has a long American history, going back at least to the early 1800’s when private industry would get their greedy hands on prisoners and literally work them to death. 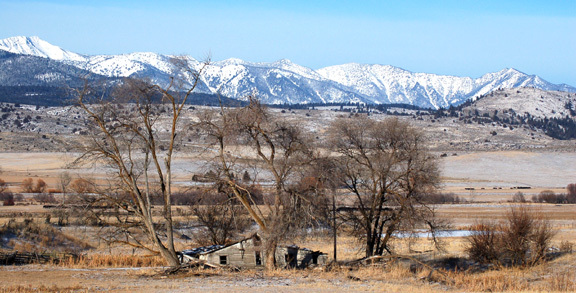 Even though it may look bad to the semi-civilized, it does kind of fit in with the sort of parochial, pre-modern, company-town, muddling towards medieval feel of North East Oregon, and the practice should be a sound addition as the eighth cornerstone of the development council’s economic development plan for Baker County. And what better way to market Baker City than to be known as the town that provides prison labor to private industry? Even if there aren’t enough prisoners to go around, the practice should help keep prevailing wages and benefits at rock bottom, which may have the effect of attracting some really sharp (as in cut-throat), no-nonsense, and otherwise intriguing business people to our little part of paradise. And what better firm to start the practice than U.S. Timber? What with illegals getting harder and harder to find, and more dangerous to keep, a captive pool of local laborers coerced into pulling the green chain is just what the doctor ordered. With the US leading the world in an ever-expanding number of the incarcerated, prisoners might just outnumber the undocumented in a decade or so. Plus, there are some real economic advantages to using captive labor, including no vacation or sick pay, and even more attractive, no health or unemployment insurance to worry about. It is a brilliant and strategic business decision that should position U.S. Timber to be in the forefront of the prison labor boom-times ahead. The aspect slow-growth advocates might like is that it should retard economic growth because these workers already have housing at the correctional facility, they don’t drive cars to go shopping, and traffic won’t be an issue. Growth might also be slowed significantly when the word gets out that we are becoming a prison labor center—it just might keep the namby-pamby, progressive riff-raff out, who knows. Now I know there are those of you who object to the whole sordid prison labor thing, but look at the alternative. As hinted at by Commissioner Warner, if U.S Timber wants to attract a steady, loyal work force, they’d have to offer a living wage and benefits package that would motivate workers to pull the green chain, and what kind of American employer would want to do that? You’d think a question as important as the following might cause NPR, the darlings of the so-called “progressives” in our country, to give all candidates a chance to answer it. But no, they don’t, because NPR is not about progressive politics, it is about giving its listeners the feel-good impression of thoughtless, and most importantly, no cost, progressive politics. They are simply another elitist propaganda machine in the service of the upper and middle classes, which ultimately serves the social status quo. Same for PBS. << SIEGEL: Well, this question comes from a listener. It's political science professor Chris Pence) of Marion, Indiana. SEN. CLINTON: Blah, blah, blah…. MR. EDWARDS: Blah, blah, blah…. SEN. BIDEN: Blah, blah, blah…. SEN. OBAMA: Blah, blah, blah…. Good to hear, once again, who the all important moderators are. But tell me, what was the Kucinich, Gravel, Dodd & etc. doctrine? We’ll never know if NPR has anything to do with it. But I’ll tell you. . . In Kucinich’s case it is the Peace Doctrine. God knows what Gravel really thinks, but NPR might not want you to know. The debate was just one example of NPR’s penchant for shutting down real progressives and independents. More importantly is NPR’s bias with regard to the Israeli occupation of Palestine. There was no question explicitly addressing the most important problem affecting our foreign policy, which is the unqualified support by American leadership of the illegal occupation of Palestinian lands by the colonial and religious state of Israel--the problem that stirs up these "rag-head terrorists." << MR. GRAVEL: There is no evidence. There is no evidence, and they've produced none. Our military has no evidence and they've not produced any. But let's — I want to touch something that they're all [the other candidates] giving license to, that there's something wrong with Iran supporting Hamas and Hezbollah. These are two elected organizations, and — and why can't they give support to those organizations? Israel doesn't want it, so why do they buy hook, line and sinker that they can't give aid to Hamas and Hezbollah? We give unlimited aid to Israel. These people are fighting for their rights. << little evidence has ever been presented for a left bias at NPR, and FAIR’s latest study gives it no support. Looking at partisan sources—including government officials, party officials, campaign workers and consultants—Republicans outnumbered Democrats by more than 3 to 2 (61 percent to 38 percent). A majority of Republican sources when the GOP controls the White House and Congress may not be surprising, but Republicans held a similar though slightly smaller edge (57 percent to 42 percent) in 1993, when Clinton was president and Democrats controlled both houses of Congress. And a lively race for the Democratic presidential nomination was beginning to heat up at the time of the 2003 study. NPR is still offering up “experts” like Richard Perle, Kenneth Pollack, et. al., and other discredited spokesmen who were cheerleaders for the war in Iraq. They also regularly produce pro-Israel reporters like Linda Gradstein and partisan Zionists like Martin Indyk and Dennis Ross in their ongoing efforts to confuse listeners about Palestine. Even FAIR itself, rarely offers a balanced perspective on the situation in Palestine. Little has changed since the article was produced—if anything, reporting about Palestine and Iran on NPR has only become worse. A study on PBS news content came to similar conclusions. http://www.fair.org/index.php?page=2973 or simply search the archives for several articles.